12. Considers that climate change mitigation and adaption needs to be effectively mainstreamed in the post-2015 development framework, taking into consideration the strong linkages with several other priorities;as a cross- cutting issue that affects the most vulnerable and marginalised in developing countries the most. 13a. Emphasises the importance of energy efficiency and renewable energy as crucial instruments for fighting climate- change and eradicating poverty, whilst acknowledging the important role that universal access to safe, clean affordable and reliable energy can play in development. 17a. Highlights the huge importance of continuing to work on improving access to water, sanitation and hygiene as a cross-cutting issue that affects the attainment of other goals in the post-2015 agenda, including health, education and gender equality. Aa. Stresses that the Doha round of global trade negotiations in the auspices of the WTO was launched as a Development Round in order to enhance the access of the developing countries into the world market and in order to promote the sustainable development of their economies and societies; is deeply worried that the TTIP and other bilateral negotiations and agreements between individual countries or groups of countries may severely undermine the global trade negotiations; urges the Commission to avoid these negative developments and step up efforts to overcome the current Doha Round Stalemate. 2. This Directive shall not apply to the acquisition or possession of weapons and ammunition, in accordance with national law, by the armed forces, the police, the and public authorities. Nor shall it apply to commercial transfers of weapons and ammunition of war. Furthermore, Member States shall ensure, at the time of transfer of a firearm from government stocks to permanent civilian use, the appropriate unique marking permitting identification of the transferring government. (3a) Member States should ensure that an effective system is implemented for monitoring possession of firearm. That system, which could be periodic or continuous, should either be based on medical review, if deemed appropriate, upon the issuance or renewal of an authorisation, or provide for an effective alternative system of continuous monitoring taking into account the risks concerned, and any relevant indications, for example from medical personnel, indicating that the conditions for allowing possession may no longer be met. Where a system of continuous monitoring is used, it may inter alia include for the owner to submit at any time to a check of continued eligibility for possession, and on-site checks of compliance with safe storage requirements. (3b) Certain persons have a legitimate interest in accessing firearms classified in category A, provided that exemptions are granted on a strictly limited basis. These could include, inter alia, national defence, armourers, proof houses, manufacturers, forensic scientists and, in certain cases, those involved in film production, as well as individuals needing firearms for self- defence purposes. (4a) National defence purposes shall constitute a legitimate purpose for certain persons to acquire and possess firearms classified in category A, provided that those persons demonstrate, prior to being granted authorisation, that they have taken the necessary measures to address any risks to public security or safety, including by way of secure storage. (7a) The acquisition and possession of firearms should only be permitted if, inter alia, this is done for a legitimate purpose. It should be possible for Member States, whilst not being under any obligation in that regard, to find that the acquisition and possession of firearms for the purpose of, for example, hunting, target shooting, national defence training, various scientific, technical or testing activities and re-enactment of historical events, filmmaking or historical study and collection can constitute a legitimate purpose. (12) Selling arrangements of firearms and their components by means of distance communication may pose a serious threat to security asMarketing of firearms, parts and ammunition by means of the internet or other means of distance communication, for example by way of online auction catalogues or classified advertisements, and they arranging of a sale more difficult to control than the conventional selling methods, especially as regards the on line verification of the legality of authorisations. It is therefore appropriate to limit the selling of arms and components by means of distance communication, notably internet, to dealers and brokers other transaction by means of, for example, telephone or email should, where allowed under national law, be possible provided that the actual handing over takes place either between the parties directly on a face-to-face basis, or by way of collecting the firearm, essential component or ammunition at the premises of a dealer, local police station or another reliable body, based on nationally established practices of Member States, which have been proven to be safe and secure. The verification of identity and appropriate licenses of the right to engage in such a transaction shall be done either on a face- to-face basis or through a secure and reliable system, such as electronic verification. Without prejudice to Article 2(2), Member States shall take all appropriate steps to prohibit the acquisition and the possession of the firearms and ammunition classified in category A and to destroy. They shall ensure that those firearms and ammunition held in violacontravention of thisat provishibition andre seized. (6a) The following Article is inserted: "Article 6a Except with respect to transfers between dealers and brokers, the selling and acquisition of firearms and their essential components and ammunition following a transaction by means of distance communication, as defined in Article 2 of Directive 97/7/EC of the European Parliament and of the Council, shall be subject to strict control by the Member States and allowed only if it takes place under conditions whereby the identities and appropriate licences of the parties can be reliably and securely verified." The maximum limitduration of an authorisation shall be set by the Member States, provided that Member States shall not exceed five yearsve implemented a system of continuous monitoring as referred to in the first subparagraph of Article 5(2). The authorisation may be renewed if the conditions on the basis of which it was granted are still fulfilled. 3. In circumstances requiring increased technical and operational assistance, the Agency may coordinate operational cooperation between Member States and third countries in the field of management of external borders, and it shall have the possibility of carrying out joint operations at the external borders involving one or more Member States and a third country neighbouring at least one of those Member States, subject to the agreement of that neighbouring third country, including on the territory of that third country. The participation of Member States in joint operations on the territory of third countries should be on voluntary basis. The Commission shall be informed of such activities. 1. Reiterates that, in the light of Russia’s direct and indirect involvement in the war in Ukraine, amounting to a deliberate violation of the core of the democratic principles and values sustained by the EU and widely shared internationally, the EU cannot envisage a return to ‘business as usual’; calls for a critical re-assessment by the EU of its relations with Russia, and for the drafting, as promptly as possible, of a soft-power contingency plan to counter the aggrecomprehensive plan on how to develop future relations with Russivea, and divisive policies conducted by Russia against the EU and its partners;with the countries of the Eastern Neighbourhood. 14. Notes that, within the last year, the Council has adopted two decisions on temporary relocation measures in the Union (‘Relocation Decisions’)9 , and that they involve the transfer of applicants of international protection from Greece and Italy to other Member States; observes that, although the Relocation Decisions do not end the current Dublin rules on allocation of responsibility, they do constitute a ‘temporary derogation’ from the Dublin __________________ 9 Council Decision (EU) 2015/1523 and Council Decision (EU) 2015/1601. (1a) The primary objective of Union development policy is the reduction and, in the long term, the eradication of poverty and should be based on development effectiveness principles. (3) Supporting security sector actors, including the military under exceptional circumstances, in third countries in a conflict prevention, crisis management or stabilisation context is essential to ensure appropriate conditions for poverty eradication and development. Those actions are particularly necessary to ensure the protection of civilian populations in the areas affected by conflict, crises or fragility. Good governance and effective democratic control and civilian oversight of the security system, including the military, as well as compliance with human rights and the rule of law principles are essential attributes of a well-functioning, inclusive State in any context, and should be promoted through a wider security sector reform support to third countries. (6a) The Development Assistance Committee of the Organisation for Economic Co-operation and Development (OECD/DAC), at its High Level Meeting on 19 February 2016, agreed on the revised reporting directives on Official Development Assistance (ODA) in the of the economic development and welfare of developing countries, must be considered when assessing ODA eligibility of activities in the field of peace and security. They confirm that the financing of military equipment or services from ODA reporting is excluded in order to avoid channelling ODA funds to the partner countries' militaries, thus strengthening their military capabilities. They also confirm that development cooperation should not be used as a vehicle to promote the provider's security interests. Therefore, even if there is a need for an enhanced coordination between the Union's development and security actions, Union development funds should not be used for activities that are not eligible under ODA. 2a. Capacity-building actions shall be OECD. (c) training which is solely designed to contribute specifically to the fighting capacity of the armed forces. 1. The Commission shall ensure that measures adopted under this Regulation in relation to the fight against terrorism and organised crime, as well as measures covered under Article 3a, are implemented in accordance with the "do no harm" principle as well as with international law, including international humanitarian law and human rights law. (50 a) While this Directive establishes a Union Framework for the promotion of energy from renewable sources, it also contributes to the potential positive impact which the Union and the Member States can have in boosting the development of renewable energy sector in third countries.The Union and the Member States should promote research, development and investment in the renewable energy production in developing and other partner countries, the Union and the Member States to reach their ambitious goals for decreasing carbon emissions. Parliament shall establish a register of Regulation (EC) No 1049/2001, be made directly accessible through the register, in an open and accessible format to allow for the reuse of content. References to other Parliament documents shall as far as possible be included in the register. 17a. Reiterates EU's commitment to build resilience in partner countries through inclusive and sustainable economic growth for human development, with paying special attention to vulnerable groups, including youth and women, to participate, and to benefit from wealth and job creation. 22a. Notes the problems arising from the urbanization and explosive growth of megacities and the challenges this poses for social, economic and environmental resilience; calls for balanced regional and local social and economic development to relieve the pressure to migrate to urban megacentres, thus alleviating the problems of uncontrolled urbanization. 1. Taloudellinen tuki: (*) Tuen myöntäjä: 2. Työvoiman muodossa annettu tuki: (*) Tuen myöntäjä: 3. Materiaalin muodossa annettu tuki: (*) Tuen myöntäjä: (*) Tukea myöntäneiden kolmansien osapuolten nimet. Taloudellinen sidonnaisuus: 1. 2. 4/6 FI 3. Taloudelliset edut: 1. 2. 4/6 FI 3. 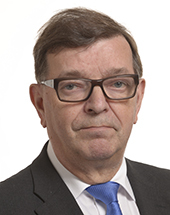 CV/0 deleted Vice-chairman, Keskusta party (1972-1980); Chairman (1980-1990). CV/1 deleted Member of Parliament (since 1970). Minister of Education (1975-1976). Employment Minister (1976-1977). Foreign Minister (1977-1982, 1983-1987 and 1991-1993). CV/2 deleted Member of the European Parliament (since 1995). Vice-chairman, ELDR Group (1997-2004). Vice-chairman, Keskusta party (1972-1980); Chairman (1980-1990). Member of Parliament (since 1970). Minister of Education (1975-1976). Employment Minister (1976-1977). Foreign Minister (1977-1982, 1983-1987 and 1991-1993). Member of the European Parliament (since 1995). Vice-chairman, ELDR Group (1997-2004).